A five hour drive to Wales for a relaxing Spa break proved to be a waste of time, diesel and excitement. A power cut, ten minutes after arrival, foiled our plans and saw us heading home the following morning with a £400 repair bill in place of our relaxing holiday, after strong winds blew a heavy traffic cone into my car. The situation could have been far worse and we were much better off than thousands of poor people whose homes were flooded. So why did we remain disappointed and struggle to swiftly ‘snap out of it’? I recalled facilitating numerous ‘Leading Change’ workshops, exploring with managers how human beings tend to react to change, particularly if the change is unexpected, enforced or perceived as negative. 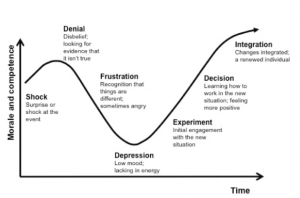 Kubler-Ross’ Change Curve usefully explains the range of emotions we go through, before accepting loss or change and being able to move on. Two people in seemingly the same situation may move through the Curve at a completely different pace, with some getting stuck at certain points or even sliding backwards, whilst others avoid the deep depths and race through to a new future. This unpredictability in people’s reactions is a challenging aspect of leading change – a manager’s communication and approach have to suit the whole team as well as each individual. Understanding how people move through change is crucial to embedding it effectively in organisations. 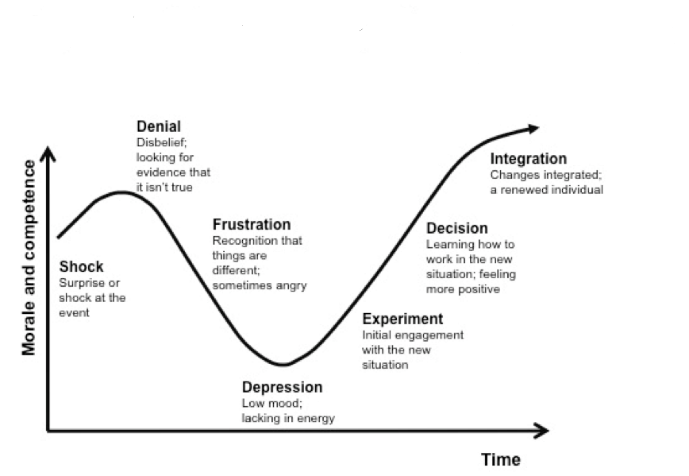 William Bridge’s ‘Managing Transitions’ model provides further useful information for managers. 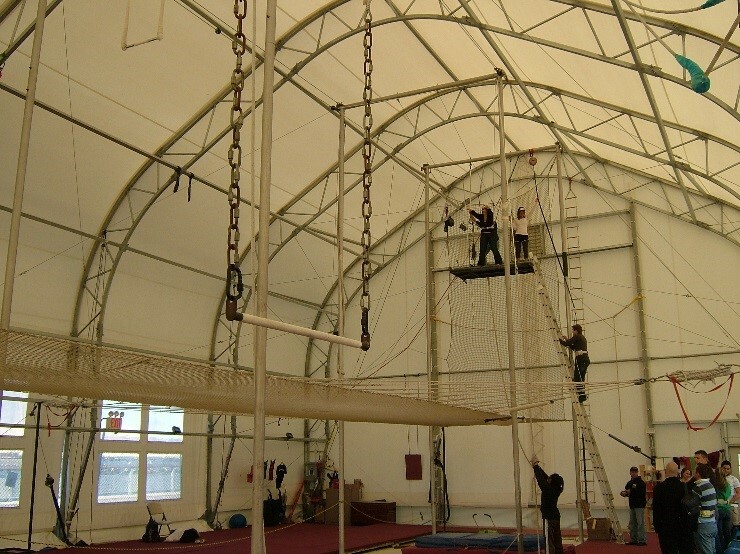 I like to picture Bridges’ model in relation to a trapeze. The person facing change stands on the platform representing ‘The Ending’, not yet ready to grab hold of the bar and swing forwards into the unknown. The middle territory is called ‘The Neutral Zone’, a place where the person may swing back and forth for some time, before feeling ready to step on to the far platform which represents ‘The New Beginning’. Happily I’ve reached my own New Beginning, having booked my car for repair and let go of what could have been. Time to start planning a new holiday perhaps…?